Evolution, we’re sometimes led to believe, is an ongoing pressure to produce the fastest, strongest, and most cunning creatures possible, in an effort to improve each species’ fitness in its environment. But what if a niche existed in which being well-adapted simply meant holding very still and taking it easy? Oh, to be a sloth. When vegetation starts growing on you, it’s time to get some exercise. 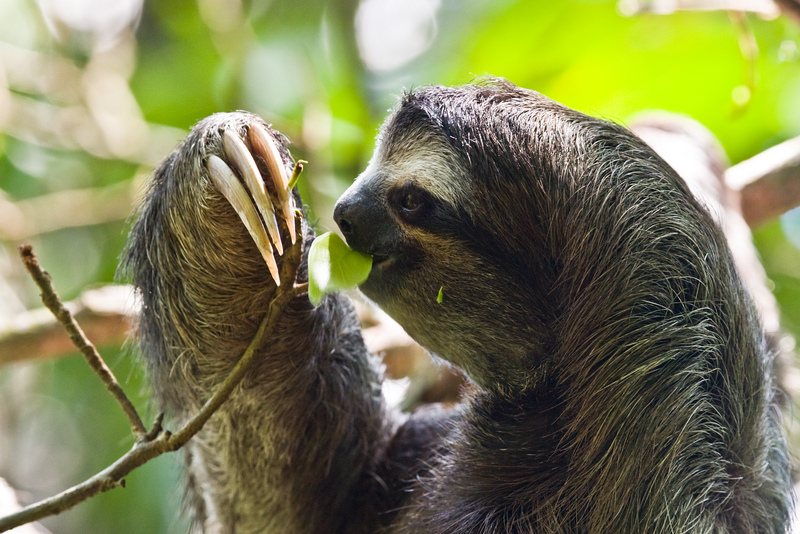 This same natural… well, sloth, is what helps them to avoid their main predators, which include jaguars, anacondas, and birds of prey. Hanging motionless upside down, sloths can appear to be just another bunch of leaves. Aiding this illusion is the fact that many sloths are, in fact, somewhat green. This is due to a thin layer of algae which grows over their fur, each hair of which is specially shaped to encourage microbe growth. 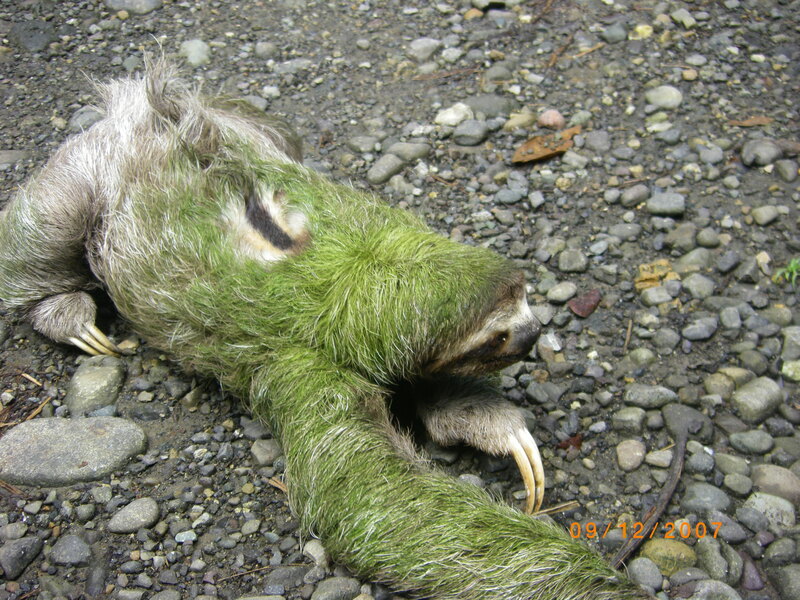 And the algae aren’t the only ones treating sloths as if they were inanimate objects; a species of moth known as the “sloth moth” also lives in their fur, while a small bird, the yellow-headed caracara, forages for its food there. Basically, other animals consider these guys to be just another piece of the landscape. The Zen-like smile of the world’s most chilled-out creature. 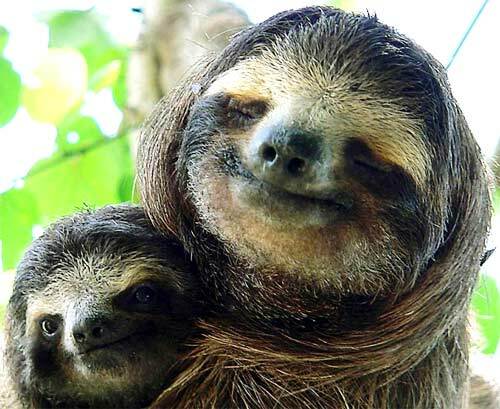 But surely the pace of things picks up a bit when it’s time to make baby sloths, right? 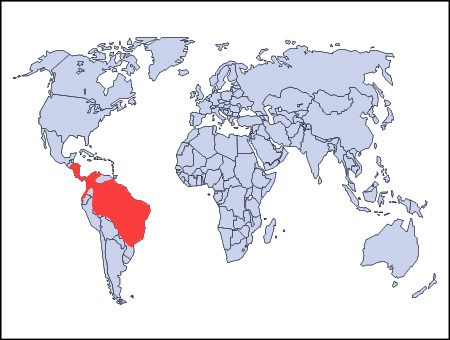 Apparently not. 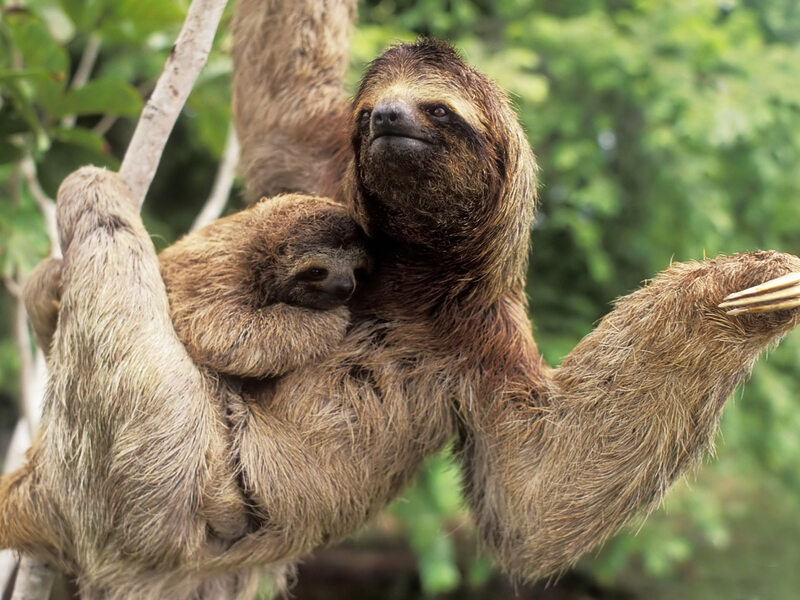 Reports by researchers indicate that mating in sloths involves about twenty minutes of hanging nearly motionless in a tree together, followed by several days of hanging out a few metres apart, doing nothing and probably avoiding eye contact, before both decide it’s time to take off. Baby sloths are born singly, or occasionally as twins, and spend the first nine months of their life clinging to their mothers’ front, first nursing, and then licking chewed leaves from her mouth, before finally setting out on their own.